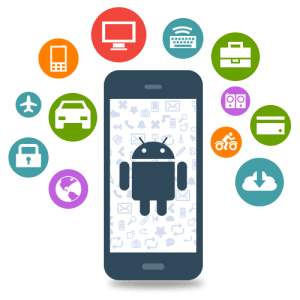 Execute your app development ideas with the involvement of masterminds providing Android App Development Services. Sky Infoway facilitates the brainy professionals with all the requisite development tools & resources for App development. Developers have a good vision to emerge with the faultless app building. Hire tech savvy Android developers & gain optimum business leverage. Get the customized services from one of the earliest starters of this domain. Technical expertise & transparent development process are the tricks we utilise to help brands gain an excellence. The best guidance & technical support result into the most engaging Android business applications. Among some of the latest Android features Split-screen, Material design and Constraints layout are the most prominent and desirable features. The constraint layout supports responsive UI and easy implementation of complex layouts and our team of Android Developers are excited to incorporate these new features. Open source Android platform was chosen by Google to make its entry in the mobile device area. Being a backbone of more than 50% mobile devices across the globe, Android has actually formed a cult. Architecturally robust, this platform offers plenty of opportunities for Android app developers to build distinct and innovative applications for smart phones, tablet PCs and other mobile devices. -Event or application monitoring for specific activities or timeline.